Construction site Liability does not just pertain to large commercial projects but can include minor renovations on residential property. A Rhode Island Construction Site Personal Injury Cause of Action can result from the carelessness of a contractor, electrician or plumber who runs his business out of his Pickup truck to the negligence of a contractor in a major commercial construction project. A good RI Construction Accident Lawyer will do a comprehensive investigation and examine safety plans, specifications, architect plans, safety manuals, OSHA reports, medical records and reports, witness statements, state and federal laws and regulations etc. A construction related claim could also be a standard car accident or truck crash if the auto or truck was being operated in furtherance of the construction project. Potential tortfeasors range from employees of subcontractors to deliver men and can include architects, the general contractors and his agents and employees. In some cases, if an employee is injured at a construction site mishap, the matter is litigated by Providence Workers Compensation Attorneys in Workers Compensation Court. In some accidents, numerous parties are partially responsible for an accident. Construction Site litigation is very complex and it is important that you retain a Rhode Island Personal Injury Attorney who is experienced in this type of complex litigation. Some accidents are your garden variety trip and fall or slip and fall. Liability in a fall could attach to the person or entity who created the dangerous condition or the entity who was responsible to remove or remedy it. Many Construction falls also occur on stairwells, elevators, scaffolds, ladders etc. There are other types of serious accidents that are far more complex such as structures collapsing i.e scaffolding accidents) or defective structures such as decks, walkways or tunnels causing serious injury or even death. In other cases, the cause of action may be premised on product liability. This could include defective or inadequate equipment, tools or construction vehicles. Whenever there is heavy machinery such as backhoes or loaders involved in a construction job, the chances of a serious or fatal accident increases. A Construction related lawsuit may be viable against the manufacturer, lessor or retail store that sold the unreasonably dangerous or defective equipment that caused the accident. 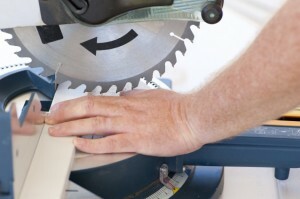 An accident could also result from improper use of power tools or other tools. In some case litigation may be filed against the owner of the property for a dangerous condition located on the real estate such as defective stairs, negligent security, dangerous walkways etc. In some cases the general contractor may be responsible for the carelessness of his or her employees. If the accident is fatal, it is crucial that the loved ones or spouse of the person killed in the tragedy retain a RI Wrongful Death Attorney who is experienced with construction site litigation dealing with a deadly accident.